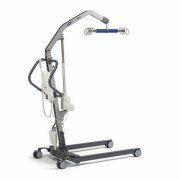 Power-operated base allows the legs to be positioned where you need them. 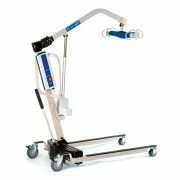 Floor pick-up capability helps prevent caregiver strain. Emergency stop, power, manual lowering and audible, low-battery warning provide safety. 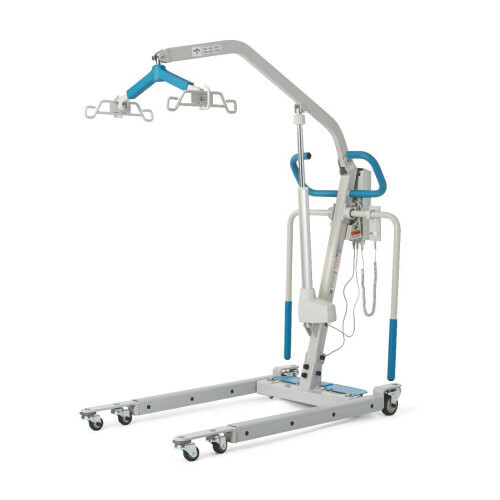 6-point, cradle design minimizes patient sway. Base legs on these Powered Elevating Floor Lifts spread with a reliable, easy-to-operate hand control function. 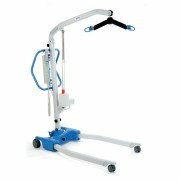 If needed, the extended reach can pick a patient up from the floor which is a great feature in an economy-friendly lift and the base can easily open via a hand lever for better positioning options over commodes and chairs.